Before this election, Jeremy Corbyn was subjected to such incredible levels of hostility from sections of the media that even David Dimbleby, along with a former chair of the BBC Trust, former BBC politics editor Nick Robinson and a BBC investigation into Laura Kuennsberg began to criticise his treatment by some journalists. The offices of the Guardian and Observer have been at the forefront of this, and have churned out tens of thousands of words in anti-Corbyn blogs and op-eds in the past two years. Someone has even compiled 24 of their most vitriolic anti-Corbyn hit pieces. Of course, much of the criticism Corbyn came in for was spurred on by fellow Labour Party politicians, who helped drive and shape a news agenda that focused on Corbyn’s apparent incompetence or unsuitability, by simply providing broadcasters and broadsheets with what they wanted to hear. Evidencing this, Channel 4 news recently published a video featuring dozens of clips of senior Labour MPs and politicos predicting doom if Corbyn remained as leader. Since Thursday night however, our well-salaried commentariat and the backbenches of the Parliamentary Labour Party have been falling over themselves to recant their words. A huge deluge of ‘mea culpas’ and apologias have littered the pages of the Guardian and Observer, and across the airwaves of Sky and the BBC. 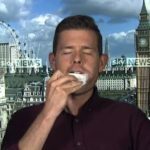 One pundit literally ate his words, chewing through his new book live on air. There are wider debates to be had about why the chattering classes got it so wrong, for which I’d recommend Phil Burton-Cartledge’s excellent take on their lack of a ‘sociological imagination’. But for now, to keep you up to date with the important question of who has, and has not, eaten their humble pie, read on. Who has tucked into their humble pie? Nick Cohen, who penned pieces with titles such as “Don’t tell me you weren’t warned about Corbyn” has said, “rather than blame [May], I would rather apologise to affronted Corbyn supporters instead. I was wrong.” Although he does stop short of a full reversal – he still insists he was right to tell his readers not to vote for Corbyn at all last summer. Here, I consume a monster helping of humble pie. I never thought Jeremy Corbyn had the capacity to win additional seats for Labour. I didn’t believe he could get his party anywhere close to a 40% vote share. I was wrong. Wrong, too, were the vast majority of Labour MPs. Special points for Andrew for going the extra mile and explicitly invoking the humble pie metaphor. Jess Phillips, who once told the press she would ‘knife Corbyn in the front’, has changed her mind. She has actually put the words ‘humble pie’ into the title of her Observer piece (the Observer again? is there a theme running here? ), where she tells us, “We all of us need to eat a slice of that humble pie”. We don’t quite agree here. Surely it’s incumbent on those who were actually wrong about Corbyn to do the bulk of atoning? No matter, it’s good to actually see it in writing. Nick Timothy and Fiona Hill. Timothy, Theresa May’s co-chief of staff, was lauded by many as the ‘Erdington Tory’ who would turn the Conservative party into the ‘true’ party of the British working class (something commentators tend to claim is happening at least once per election cycle, see Essex man, Basildon man, or Reagan Democrats as examples). Instead, two days after the election, May has cut off her right and left hands, forcing Timothy to resign. He said, in a statement on Conservative Home, “The reason for the disappointing result was not the absence of support for Theresa May and the Conservatives but an unexpected surge in support for Labour.” Meanwhile, his other co-chief, Fiona Hill, resigned immediately afterwards. Her own statement was notably absent of any humble pie. ConservativeHome, the Tory insider website, are having to eat a lot of humble pie themselves. Read this fascinating piece by their editor Paul Goodman about what a huge pit the Tories now find themselves in. Just as I wrote that Corbyn had to take responsibility for Labour’s disastrous local election results in May, so it’s obvious that he deserves credit for this astonishing performance in June. eventually their argument that the Tories envisaged leaving Europe as another step towards some Thatcherite dystopia chimed with a big part of the public mood. For people, including me, who criticised their contortions on Europe, pointing this out entails eating a big helping of humble pie. That’s fine: it deserves no end of praise. Listen to the sound this morning of the eating of hats and the munch, munch of humble pie from those of us who worried he could never get anywhere near success. So @NickCohen4, @jonsnowC4 and I have all admitted we called this election all wrong. So, Westminster bubble, what about the rest of you? I had already been wrong about him twice. I thought he would come fourth in the Labour leadership election in 2015, and I thought that, when he was exposed to the British public in an election campaign, Labour’s support would go down. The reality is that 12 million people are what we need in the Labour movement, voting Labour in Tory seats and Labour seats. Jeremy I don’t think can bring that along. I was clearly wrong in feeling that Jeremy was unable to do this well and I think he’s proved me wrong and lots of people wrong and I take my hat off to him… I don’t know what Jeremy’s got but if we could bottle it and drink it we’d all be doing very well. We were hearing people who hadn’t voted for a long while voting Labour yesterday evening, who were inspired by the policies, and it has to be said by Jeremy, to vote Labour last night. Peter Mandelson, the dark lord himself, who claimed to spend “every day” plotting to bring down Jeremy Corbyn, went on television to eat his humble pie. “An earthquake has happened in British politics and I did not foresee it”, he told viewers. I think I underestimated the enthusiasm Jeremy Corbyn has generated among young people and we’ve had people turn up just on the tuition fees’ policy and we had those young people out campaigning. They were desperate not to be saddled with debt. It wasn't a churlish piece, actually. It had plenty of praise for Corbyn. But humble pie? I am on my third helping. Delicious. You don’t owe me or people like me anything, although I do owe you an apology. You’ve renewed our party and inspired millions of young people. Thank you, honestly – and the truest thing I can say for now is that you have won my loyalty. Perhaps a sign of the new unity to come. Who hasn’t tucked into their pie yet? Chris Leslie, who obviously wasn’t checking his WhatsApp groups on Friday morning, broke the line of unanimous praise for Labour’s performance by former critics, taking to the airwaves on the Today programme. He told listeners, “I just can’t, I’m afraid, be a cheerleader for that particular outcome because this was an open goal for all of us.” Mr Leslie’s majority increased from 19,208 to 28,102 between 2015 and 2017. We wonder if he really believed Jeremy Corbyn and the manifesto had nothing to do with that? Spent the day laughing at yet another stupid poll from .@yougov. Hey . @benleet do you want to bet for charity? I'll take the over. We wonder what Messina is thinking now? He hasn’t tweeted at all since polls closed. Rupert Murdoch, owner of the Times, Sun and Sky News, reportedly stormed out of his paper’s election night party. Gavin Barwell, in the early hours of Friday morning , was democratically ‘evicted’ from his seat in Croydon Central and role as a housing minister. Thankfully for Barwell, by Saturday afternoon he had a new job, as May’s Chief of Staff, replacing Timothy and Hill. Barwell was the author of a book titled, ‘How to Win a Marginal Seat’, to which he could presumably write a good sequel about how to go about losing one. Theresa May, who according to Andrew Marr was in tears as results came in, is planning to continue as prime minister in a minority government, propped up by a ‘coalition of crackpots’ in the Democratic Unionist Party, most of whose MPs are members of the sectarian Orange Order, and whose views on LGBT rights, abortion and climate change make UKIP seem positively liberal. Want to make her eat some humble pie when her government inevitably collapses in a few months’ time? You can join the Labour Party here, and you can join Momentum here. Posted in: Media, Politics, Uncategorized. Jeremy Corbyn might be very nice and forgiving but the membership is not. We DO NOT want most of these people back toxifying the party. We the membership won without them. There readmission to the Shadow Cabinet will not unify the party far from it. Let them go and start their own ‘moderate’ party and get 7% of the vote. Oh hang on …… They wont. Yesterdays men and women we don’t need them. Add Joan Ryan, MP, who distanced herself from Corbyn during the campaign and said May would win a landslide. I don’t believe for a minute that all these right-wingers have changed their colours. It’s all crocodile tears, no doubt some of them believe, and may even say so publicly in the near future that Corbyn didn’t push hard enough! Of course it wasn’t just a matter of individual mis-judgement that these people ended up attacking Jeremy Corbyn. When Parliament reconvenes, all Labour MP’s should be whipped to vote against the (unammended) Queen’s speech. All Labour’s speakers must demand May’s resignation, argue against the Tory-DUP pact and call for the implementation of Labour’s Manifesto. Before another General election ( which should be sooner rather than later ) CLP’s should be allowed to vote on their candidate, whether they’re a sitting MP, or not. and Paul Mason’s lousy arguments on Trident & NATO. Mason contributed to the fudge over these questions in the Manifesto, which is it’s weakest point. Like Rust, the right never sleeps. It knows how to open up cracks like this and it will try again. His advocacy of nuclear war is truly shocking. I will reserve my judgement on the Labour Party until they withdraw the unjust suspension on my CLP in Wallasey. I have faith in Corbyn but not the NEC, McNicol or Angela Eagle. I agree all the suspended clps should be reinstated for lack of evidence. Eagle should be excelled simple as that. Typo she definitely can be excelled. Though expelled is of course what I meant. Any MPS deselected can either suportthe party or be called out for what they are. Beware Labour Right and Centre PLP ers and their press megaphones claiming to be now “on board with the Corbynite Left agenda”. Nothing could be further from the truth. The Right and Centre have simply adopterd a cynical new tactic, moving from outright hostility and “leaving Jeremy to bugger it up by himself” to a new one of trying to swamp the Shadow Cabinet with their presence, and hence to make Jeremy a prisoner of their continuing commitment to the same old neoliberal agenda. Even those “cooperating centrists” like Barry Gardiner who have lent their very useful recent support to Jeremy , are now attempting to implement the great betrayal of Labour’s commitment to “honour the Brexit Referendum vote” , by proposing the UK “could still stay in the Single Market”. Make no mistake “staying in the Single Market” means retention of Unlimited Labour Supply and all the restrictions on any renationalisation or any other anti austerity Left strategy, ie, the UK won’t have “left” the neoliberal EU at all or achieved the freedom to carry out a Left Keynsian economic agenda . The temptation for the tiny Corbynite team to water down our Left agenda to achieve that dire old trap for the Left, “Party Unity” will be huge – especially with a second General Election looming. If The Left Agenda is watered down (and its very mild stuff as is), this will be a huge betrayal of our , now 800,000 membership, and a retreat on leaving the Single Market (also being promoted by the Tory pro EU majority) , will provide the certain basis for a huge revival of UKIP (or a radical Right Populist successor) in no time at all. BEWARE LABOUR RIGHTISTS BEARING GIFTS of bogus co-operation ! With a new General Election potentially looming we can’t deal with them yet, but eventually they all have to go. “Jeremy Corbyn would be Prime Minister if an election was held tomorrow, according to the pollster which most accurately predicted Thursday’s election result. It is the first time since Theresa May took power that any poll has put Labour ahead of the Conservatvies. Survation’s final poll before election day correctly predicted Labour would win around 40% of the vote, with the Tories just ahead of them. This is a complete distortion of the position Labour has, which since last October has been to maintain access to the single market, a position not opposed to my knowledge by any left MPs , except Skinner and Hopkins, or by any left groupings within Labour.It is supported by some small left groups – CPB? and individuals. It is also profoundly wrong. A hard Brexit would have a catastrophic effect on the jobs and living standards of large numbers of people in the UK, but with no hope of success, as international capital would crush a Labour government and the UK would become the biggest casino in the world. The only way forward is via Europe.Perhaps we could explore this in the context of looking at Varoufakis’s DIEM movement and their perspectives, rather than pursuing a fantasy. Utter nonsense ! You are utterly, utterly wrong, Peter, or simply incapable of grasping the huge , crucial , difference between Labour’s actual official policy of , “maintaining maximum tariff free possible ACCESS to the Single Market” and the completely different objective of “retaining full MEMBERSHIP of the Single Market”. This vital issue is too often bedevilled with a slippery fudge that has papered over the massive difference between Jeremy’s Left view of the EU/Single Market, and the EU fanatic Labour Right (and far too many on the Left – who seem to have forgotten what the Single Market IS as a set of neoliberal enforcing straightjacket rules). No radical “Corbynite” Left Keynsian economic policy including nationalisation and selective industry protectionism , or abandoning NHS privatisation, or abandoning completely unlimited labour supply, would be possible if the UK remains a full MEMBER of the neoliberal Single Market . You are simply, as you have done repeatedly for at least a year now in your posts, ignoring the constantly repeated clarifications by Jeremy and John McDonnell (this week again) that in leaving the EU , we also LEAVE THE SINGLE MARKET, but “seek full tariff free access to it”. You obviously simply don’t agree with it , but don’t accuse ME of not supporting Labour policy, when you quite willfully have constantly miss-described what our Leadership-led official policy on the Single Market IS. You are simply lining up with the Labour Europhiles to subvert the democratic Referendum decision AND the actual policy of our party, so spare me the dishonest guff about only “small Left Groups wanting to leave the Single Market”. Ooops! Apparently the 150k new members is probably a mis- tweet should be 25k since June and 15k since election but better than a vicious Trump tweet Ha! Ha! No. This is just dishonest sophistry. You are too intelligent and well read to really think otherwise. There is in practice no crucial difference between access to and membership of the single market, except that the former would happen from a position outside the EU to conform with the decision to leave, which, as the EU have made abundantly clear, would involve some sort of EFTA/Norway/Switzerland type arrangement if access to the single market was to be retained. A better deal might be on offer, but if not Labour has made it clear that access to the single market is the priority. There is no disagreement about this, at least publicly.Please do not try and pretend that there is a left Corbyn/MacDonnell position that equates to yours that the right are trying to subvert. There isn’t. Your ‘Left Hard Brexit’ position is completely different to Labour’s, has very little support and for reasons I have spelt out is quite wrong. Utter nonsense. You are simply in denial as to what Labour policy actually is, Peter. The reason for this being your quite obvious inability to believe a radical Left reforming government is actually possible. For you, the socialist future has to be always ” somewhere in a distant future”, with only Tory neoliberalism as the reality. You cannot imagine life outside the neoliberal straightjacket of the Single Market. But if this is impossible (until the rest of Europe embraces Left Keynsianism) , the entire Corbyn Left project is pointless ! As the class struggle heats up, and a Left government becomes a real possibility you have dis covered that you are a Fabian , Peter ! It must be said that the leadership has always been quite vague about their goals vis a vis the single market. I’ve never quite been able to figure out whether they mean “access” or “membership”. John, do you have a link to Corbyn or McDonnell saying that the UK should leave the single market? The manifesto did say that free movement is to end with the EU, which would suggest leaving the single market, but I believe it also said that this goal would not take priority over retaining market access. The EU has indicated that we have to take or leave all of the 4 freedoms, which doesn’t bode well. Peter, I know from past exchanges that you believe there will be sufficient pressure in other countries for the EU to change to give a left British government room to manouver. Given that Corbyn could end up PM much sooner than any of us expected, do you still think this holds? I suppose it’s just possible we’ll see a Red-Red-Green alliance in Germany later this year, but let’s not forget that the SPD was just as harsh as Merkel was when it came to Greece. What is your plan if Corbyn does find himself coming into conflict with the EU and the choice is either leaving or abandoning his program? When I’ve asked you this in the past you haven’t really answered. Peter, I do understand your concern about the UK’s ability to cope on its own outside of the EU. There is no doubt that a European government intent on socialism would have a much easier time than a British government. But I’ve also found your logic rather defeatist. Perhaps this is because I come from a country which is not part of any such bloc. What would you tell socialists in Canada, Australia, New Zealand, or Japan to do? If Britain can’t survive on its own then those countries would face similar problems. Are we simply to wait for the revolution in the EU or US? Socialists in Canada know full well that we are constrained by the level of class struggle in the US, but that doesn’t stop us from agitating for radical policies and, indeed, for pulling out of NAFTA. We hope to push things as far as we can on our own and ti set an example for our American comrades. Jeremy and John have been quite clear on this specific point throughout. The Labour Right have in contrast been totally slippery. I refer you to both Jeremy Corbyn’s interview on Marr on Sunday, and John McDonnell’s interview with Peston on Sunday . The position was put perfectly clearly. ie, Labour seeks tariff free ACCESS to the Single Market, but , because of the Four Freedoms, particularly Freedom of Movement, which the EU is highly unlikely to waive , MEMBERSHIP is not likely to be possible. Barry Gardiner tonight on Channel 4 ,and elsewhere, has concurred with this position, BUT confusingly earlier stated that a negotiation could of course as a fist bid seek MEMBERSHIP without the UK having to comply with the four freedoms – a negotiation , as Gardiner admitted tonight, has “No Chance” of succeeding ! The Labour Right of course are wedded to the neoliberal EU body and soul, so Keir Starmer is indeed seeking some way to stay in the Single Market – whilst also cynically posturing about the problems resulting from unlimited labour supply . So Labour is indeed profoundly split on the issue . But Jeremy and John have, so far, been perfectly clear that “leaving the EU means also leaving formal MEMBERSHIP of the Single Market. You should be able to watch Jeremy say this on Sundays Marr Show on BBC iPlayer. If tariff free access to the single market is the priority then it is almost certain that this would not be obtainable without membership (of the SM, not the EU).Yes, there is some confusion, hopefully it will be clarified shortly. The leadership’s opening bid does seem to want to have its cake and eat it too. They seem to want tarriff free acess without most of the four freedoms. I want that too, but I don’t think it is going to happen. I suppose there are countries with trade deals with the EU which sort of give that. In principle the EU could negotiate that with the UK. However, there is every chance they would be out for blood and not want to take that route. Additionally, the trade deals usually contain some very neoliberal clauses, which a left-wing government is unlikely to want. Incidentally, when I’m arguing against stayin in the single market, it is not simply purism. I think it will be much more difficult, if not impossible, to address climate change when bound by the liberalisation directives on energy and transport. That’s kind of important. CMac, you pose two questions.On the first it would obviously depend on what was on offer, but I don’t think that maintaining tariff free access to the single market via an EEA/Norway type arrangement would rule out starting to implement much of Labour’s rather mild programme, although without a reformed EU that could obviously not be completed. It’s not possible really to be more definitive.As you know I broadly think that a hard left brexit is unlikely to work and could be economically very damaging. On the second, I think the same general considerations should apply, but I don’t know enough about the detail to comment further.It’s not a question of trying to promote left policies, it’s what a left government does in practice.Unless there can be a reasonable likelihood of a course of action succeeding, or at least not failing, the it is best not to embark upon it, although in hindsight it can appear differently. Political judgements are never simple. I think you are being rather over-optimistic. You yourself have mentioned that capital controls will be needed by a left-reformist Labour government. These are prohibited if the UK stays in the EEA. It’s true that the EU has tolerated them as short-term measures in the past, but this has mostly been in order to prop up troubled banking systems. I don’t think they would tolerate them for any period of time from a reforming left-wing government. That’s not to mention the fact that I think a left-Labour government would quickly have to become more radical in order to combat economic sabotage. Well obviously a Left government should only pursue policies that can work. The question is what we think will work. Your logic would suggest that in an individual country only the most mildly social democratic policies could work, which gives the left very little room to manouver. My point was that in non-European countries we try to be more creative in figuring out how to make things work (not that most of those countries listed have much of a Left to speak of). And, to be clear, my (pragmatic) preference is to retain tariff-free access to the single market. However, I’m extremely reluctant to give up the right to institute capital controls or be bound by liberalisation directives in order to do that. Most countries not in trade agreements do have quite low tariffs as it is. Furthermore, many of the effected industries (such as aerospace and automotive) could be repurposed to e.g. develop electric vehicles and other environmentally friendly products. I’m not saying any of this would be easy, but I don’t think we should prematurely close it off as a possibility. Supporting John P’s analysis…. he is right to point out that we are leaving the EU, and that had a great deal to do with the return of Labour Voters from UKIP to Labour as well as the most radical manifesto since the last war. What we urgently need to do now is to get delegates organised for the conference, deselect Blairites from the NEC , and make sure that the Conference Arangement Committee has a full compliment from the left. We also need immediately, motions to the NEC calling that all CLPs can immediately start selecting their candidates for the next election, which will allow them to campaign and build an even greater majority. Also a motion to the NEC to cancel all suspensions pending and allow those members to return back into normal activities within their local parties. It has been a disgrace that this has been allowed to drag on leaving members in limbo all this time. The sooner we get back into campaign mode, the sooner we will be able to take office. No Mervyn, Labour’s recent manifesto was NOT the most radical since 1945, this was the 1983 manifesto, and although the welcome return to modest social democracy in our current manifesto is a significant achievement, but realistically could probably not have gone much further at the moment, which is a measure of how far we have moved to the right since Thatcher. Income tax is a good illustration.Although the better off will pay higher rates at a lower income than now, no-one will pay more than 50%. Pre 79 the top rate was 83%, and although the Tories lowered that they kept it at 60% until 1987. Peter, in 1983 we still had Nationalised Industries, there of course would wasn’t any mention of renationalisation which the current manifesto is comparable to in the 1945 manifesto. I would point out that taxation is not in any way as relevant now as it was in the 1960s etc., since 1973 we floated the pound and that has meant that taxation and interest rates have become the regulators of the economy, and in reality not essential to public spending. Therefore again you need to understand money creation to know why your reference to taxation in the 1960s is no longer pertinent. I do agree we did have taxation at those levels at that time. I note your other reference relating to the threat of the exodus of companies from this country should we leave the EU. What I never understand is why people like yourself have only just woken up to a process that has been happening for over forty years now, and has been dubbed the de-industrialisation of the west. Multinational companies and globalisation have been the driver of this for all that time. Dyson was the absolute example of that, he was personally ridiculed for making a speech in the Reid lectures where he pointed out the insanity of companies exploiting third world economies and cheap labour by moving to the far east or eastern Europe at the expense of the British economy. Only to do the very same thing himself, noting his vacuum cleaners are no cheaper to us and he has pocketed the difference. We are currently and have been over the last 15 years trading at a £3 – £4 billion deficit each month, month in month out. I personally believe we have got to create real manufacturing jobs here in Britain without relying on the private sector, it should be clear to any right minded thinking person that the private sector has been found wanting and has made itself irrelevant. Therefore the state must step in to create those industries itself. It can be done and all it will take is the will to do it. The EU of course would not like that if we are still members. I think we can negotoiate tariff free access for companies but as a Lab Govt would have to pay a lump sum (deal or no deal?) but no single market with all the Neo-Liberal rules. Requiring people to have job offers helps manage labour supply and bringing back migration adjustment funds for councils plus trade unionising migrant workers in effect means a triple lock on migration which other countries should follow too. And yes need to look at capital supply. Bit sickened today, after we were all busting a gut for a win for Jeremy according to The Schwakbox site the Right were using LP officials to put money in Progress candidate strong seats and ignoring Labour marginals and directing activists away from Non-Progess supporters. Was the tale of one candidate who had no money, couldn’t even afford garden stakes, had few helpers and lost by 31! So a double whammy from the horrible Right – undermined JC from day one (and in the media) and now this revelation. My CLP seat wasn’t even an official marginal but we turned 7k votes around and I regret never having a chance to get to 2 official marginals in my city – both had decent leftish candidates and one lost by 300 and another by 2,000 despite Labour’s vote in both areas going up and some of us really know how to engage with working class/working people. We need to continue to back JC, get Momentum democratically organised and organise, organise, organise and we now have 800,000 members! And as for those genuinely behind JC – we are the many, they are the few! Let us recall why this election was really called. It was not in order to seek a stronger mandate for Brexit. May already had that and she had already triggered Article 50. It was simply a matter of getting on with the negotiations. No, the real reason for the election was that May hoped to take advantage of big Brexit bump in order to gain a mandate for a massive extension and deepening of Tory austerity. She failed and failed miserably but that is the important thing for the Tories. Not Brexit but austerity. So May is a dead duck and now the Tories are trying to put together a Coalition or informal alliance in Parliament that accepts a Soft Brexit but which will follow through with Tory austerity. This is the reason for the delay in the Queen’s Speech. Tory MPs and grandees are looking for sufficient partners to form a strong and stable government that can deliver that austerity. The puny votes of the DUP are not enough for this cause after all such a government would be cemented by law into power for the next five years. Where then can the Tories find people who are Soft Brexit and pro-austerity in sufficient numbers to prop them up for the next five years? Why of course in the ranks of the coup plotting New Labour MPs who would be more than happy to oblige and at the same time marginalise the anti-austerity Labour leader. Corbyn can prevent what would be and is building up to be a palace coup by putting forward his own Queen’s Speech which includes his anti-austerity but also his plans for a Brexit that respects the will of the people by including leaving the ESM and then negotiating access on terms that protect jobs, workers rights, the environments, small business and sovereignty over such things as immigration whilst at the same time arguing for socialism and a New European Settlement that favours workers over the corporations. He could then demand an end to the awful Tory/DUP austerity coalition and that Parliament vote for a Labour-led Coalition or government with him as Prime Minister. Stop the Coup. Those that have “changed their minds” about Corbyn since 10pm on 8 June either 1) agreed with his views and approach but opposed him because they believed people wouldn’t support them or 2) still don’t agree with his views and approach but see people do support them. Is there a third explanation? I’m surprised and disappointed by some of the “vengeful” tone in some of the comments here. We had that fight, we won, time to draw a line and move on. Of course we need to get people like Yvette Cooper, Dan Jarvis, Caroline Flint, Ed Miliband, Hilary Benn in the Shadow Cabinet. It will make the Labour Frontbench massively stronger – and united behind the 2017 manifesto. The election proved in practice that a left-wing domestic agenda can win. Now we need to solidify that huge political gain and bring on board everyone who’s prepared to work for it. What on earth do the “vengeful” people think they can possibly achieve with that kind of attitude? On the issue of the manner and direction of our departure form the EU. It’s absolutely 100 per cent right that we don’t “answer the question” in the terms in which it’s being framed. We will of course leave the EU in accordance with the 2016 referendum mandate, and we will ensure that we put jobs and the working class, and public services etc first in any agreement reached. That’s how we have to frame that debate – it’s not a binary “hard v soft” question, it’s a question of what serves the interests of the working class of this country. But what of the current front bench MP? We currently have a very left-wing front bench I do not want to see any of those members displaced. If there are vacancies then we can look to fill them, although there are some on your list I do not think would be appropriate. In particular, Yvette Cooper said in the past that she would not participate in a Corbyn shadow cabinet because she disagreed with the policies he called for. In that case, she is not an appropriate choice for the front bench. I also don’t trust Hilary Benn in the slightest and think that he would make collective responsibility difficult given his somewhat neo-conservative approach to foriegn policy. I’d be willing to have Ed back, though. For the Home Office brief, I think Yvette Cooper is a better choice than Diane Abbott. At defence, Dan Jarvis would be way better than Nia Griffith. Certainly some of our front bench have performed great – JohnMac, Emily Thornberry, Barry Gardiner, Jon Ashworth, Angela Rayner, Rebecca Long-Bailey, Kier Starmer – but some of the others, not so much. We should certainly strengthen the top team if we can. Your latest comments are so stunningly naïve, Karl that I am truly astonished. Do you think forming a Labour Shadow Cabinet is akin to those Fantasy Football games where pretend managers put together their ideal teams ? What about the POLITICS, Karl ? You seriously think that putting a cohort of the totally committed , and continuingly, neoliberal , back-stabbing old Blairite Right back into the Shadow Cabinet, so that Jeremy will become a prisoner of their continuing Big Business Progress funded agenda to divert our Party back to its pre-Corbyn neoliberal path, is a good idea ! The entire effort of Cooper or Jarvis et all with Shadow Cabinet status restored, would be to contradict Jeremy and John whenever they tried to implement our Left Keynsian Manifesto, (and stay true to its commitment to leave the EU) or a wider Left direction. You also seem to have gullibly bought into the entirely mass media promotion of Dan Jarvis in particular as some sort of significant political figure – whereas anyone who has read his vaccuous (usually ghost-written) “big idea” speeches will know he is a pompous empty vessel spouting the usual Right Labour rhetoric. You need to avoid getting all your ideas from The Guardian, Karl – these temporary “Corbyn fans” are only interested in subverting the huge Left Surge that is taking our Party towards a Left agenda. Cooper, Starmer, Jarvis and co are exactly the type of politicians who have just decamped without a backward glance to Macron’s entirely Big Business concocted En Marche stooge neoliberal party in France. And they would cross the floor join with the Tories at the drop of a hat to form a National Government if Labour wins the next General election . You latest posts take the biscuit for political naivety. Maybe a little bit on the naiive side fair enough. But if people are now saying they were wrong and that our manifest was right, then I’d suggest why don’t we take them on board on the basis that they have to support the manifesto going forward? Surely strengthening our top team on the basis of full support for the 2017 manifesto would be a good thing? The Blairite war against Corbyn continues taking the form now that he must sack loyal shadow cabinet members who stuck with him in the darkest times of their coup to make room for these grotesque swine. They should not be the in the Shadow Cabinet. They shouldn’t even still be in the party. If they had been de-selected before the election Labour might have got even more votes and a bigger turnout. Nia Griffith wasn’t loyal to Corbyn. She was frankly quite a bizarre choice as defence shadow and replacing her with Dan Jarvis would be a sensible move. As for the Home Office brief, that’s currently vacant. What is it with you and the vaccuous neoliberal , Dan Jarvis, Karl ? He is an empty poseur, with nothing but Blairite soundbite drivel to say, and a total enemy of Jeremy and the Left Direction of the Party. Why on earth invite the worst wreckers and plotters into Jeremy’s Shadow Cabinet ? They aren’t suddenly going to become loyal team members. Similarly with the utterly poisonous Benn, Chuka and Cooper. It could be a wizzard wheeze to invite Owen Smith to take the poisoned chalice of Shadow Northern Ireland Secretary, and Ed Miliband as Environment Secretary, but as to the rest , let em rot on the back benches ! To be honest, I don’t know a huge amount about Dan Jarvis, but then Nia Griffith is hardly a loyal pro-Corbyn person or even a particularly impressive individual is she? I think an ex-forces person as Defence Secretary is a good idea – if not Jarvis, maybe Lewis? It effectively ‘boxes off’ this portfolio to critics. Same with having a strong Home Secretary. Got to keep the left totally in charge on economics, housing, foreign, health, education, transport etc though. To CMac. Yes, I think capital controls to deal with a crisis would be allowed, but only for that.Part of my concern is the possible break up of the EU, which would be a disaster for the left.It looks as though the worst danger, for this year at least, has passed, with the populist right failing to make headway in France and Holland, and the prospect of a move to the left in Germany. But there are still great problems, and while I doubt if a left UK could survive outside the EU it definitely couldn’t with no EU! That’s why the left here should be involved in the DIEM movement which is trying to chart a positive way forward for us all. I’m not convinced of some of your logic here, but I’ll leave that for another time. I have a great deal of sympathy for DIEM25, although I’m extremely dubious that it will be able to acheive its goals. I’m not sure that the UK left would have much to contribute to it, though. Even with the softest of Brexits, the UK will no longer be participating in or shaping the European political institutions, so what can we contribute to DIEM? It would be only marginally more useful than if, say, the Australian left were to join. Meanwhile, there are a so, so many things which the Left has to do in this country (as I’ve outlined in the past). To CMac, well, we haven’t left yet, and may not, but in any event are likely to remain closely involved with the EU, so every reason to participate in DIEM, although unfortunately there is little interest. To Mervyn and John P. The danger, which is becoming more obvious, is of an exodus of foreign owned firms to the EU to maintain their markets.For John to use Farage’s argument is ludicrous – the EU is 450 m without us, we are 65m.Any loss of markets can be absorbed by any EU country, but not by us without severe job losses.And we will still have to import cars because there won’t be a car industry left here. In fairness, there is some car industry left here–it’s just foreign owned. If it tries to leave then a left government could potentially repurpose it for building electric vehicles and public transport. I don’t think this is realistic. And, to clarify, I’m not proposing this would replace all UK car imports. I’m under no illusions that there is enough capacity to be able to do that. Rather, I was making 2 points. One, a bit pedantic, was just that there is still a bit of a car industry. The other, which wasn’t totally related to this conversation, was to demonstrate we can combat industry shutting down and repurpose it for socially useful ends. There’s a big car industry NOW, but it’s all foreign owned and exports the bulk of its production to the EU.I assume you’re not suggesting that we could prevent them leaving,and ‘repurposing’ would surely only be effective in the long run. Well, we can’t prevent companies leaving, but we can prevent factories leaving. We can’t repurpose them instantly, but the repurposing of factories during WWII to produce, e.g., war planes shows what can be done with sufficient determination. Now, doing so would require much more extensive workplace organisation than we have presently if we are to pull it off. Such organisation would also need to be quite different from the usual narrowly focused unionisation efforts, encouraging workers to bring forward ideas and alterantive plans for production. None of this is remotely easy, of course, but even leaving aside Brexit (hard, soft, or nonexistent), this is the sort of effort and repurposing which will likely be needed to combat climate change. Get real, Peter. Ford moved almost its entire production of the hugely successful Transit van to TURKEY – not a member of the EU OR Single market – but with a special deal on access to the EU market for manufactured, including automotive, products. South Korea is not in the EU OR the single market, but has a cosy deal on tariff free access in the automotive products area. And many other nations have similar deals. And so it will be for the UK, the 5th or 6th biggest economy in the world, which BUYS far more from the EU than we sell to them. Your O’Learyesque nonsense predictions of post Brexit doom are just that, pro neoliberal EU Remainer fantasy . It has certainly torn your credibility as a supporter of radical Left political advance to shreds. You are simply a Fabian in Labour Leftie’s clothing , Peter – forever putting off the day a radical Left reformist government takes on the neoliberal consensus in any way. Staying in the Single Market and being bound by its 4 Freedoms and other neoliberal strictures makes a wide range of key Left (Keynsian, never mind socialist) economic policies impossible. John, do try to argue with the principle of charity and assuming good faith. I have similar issues with Peter’s apparent willingness to put off socialist policy into the indefinite future. I also agree with you that Keynesian policies will almost certainly be impossible in the Single Market. While I lack your confidence at the ease with which the UK can negotiate a good post-Brexit deal outside of the Single Market, I think Peter is likely too pessimistic on the subject. But let’s constrain our arguments to those points and avoid casting aspersions on each others’ characters or suggesting that they are arguing in bad faith. Yes, of course deals are struck, there is one with Nissan, but whether the UK can bribe all such firms to stay is another matter – it would rather defeat the object of the exercise. There is increasing reason to suppose that post hard brexit doom is likely, and given that I do not believe that your fantasy of a n independent left UK is remotely realiseable, for reasons I have given several times, it would be highly irrespnsible to go down a hard brexit road. Fortunately this is recognised by most on the left, including the leadership and its supporters,so there is little danger in what you advocate coming about. Peter, perhaps I’m not understanding you. I believe John was saying that we could get a deal for tariff free for auto and other manufactured goods. In that case, why would firms move? Beyond why such firms sometimes relocate even when a country is part of a trade agreement, that is. Also, I would still say that it is incorrect to say that the Labour leadership is explicitly saying they want to retain membership of the Single Market. They have, in the past, specifically talked about being free from prohibitions on state aid, for example. That would suggest not being in the Single Market. I disagree with John’s assertion that they have clearly said they don’t want to be in the Single Market too, mind. I think they’ve been vague, quite possibly diliberately so, and we can’t tell what they want or expect to get in terms of market access/membership. Peter, I well understand that change will bring it’s problems, you do have to crack a few eggs before making an Omelette, but where is the evidence for the kind of disaster you predict by coming out of Europe. Yes things like student exchanges and research arrangements, BA and Airbus etc., but those are things we can ensure are protected along with EU residents, but where is the big disaster, we already have trading deficits with the rest of the world, our manufacturing base doesn’t pay its way, the financial sector didn’t achieve its promise, so what is it that is going to be such a disaster??? Indeed, Mervyn. Apt questions. The UK buys a LOT more from the EU than we sell to them. The UK isn’t economically irrelevant little Greece, to be punished “to encourage the others”. The likes of Volkswagen, BMW, Seimens , Fiat, etc , will ensure that even outside of the formal membership of the Single market, the EU and UK continue to trade pretty much as before. Peter is suffering that utter panic of all too many on the old Labour Left , now that the unbelievable has actually happened – after a political lifetime of fruitless backroom intrigue on the old Labour Left – ie, there is the potential of a Left Keynsian reforming Labour government … quite SOON ! Suddenly all those fears about “the chaos of actual left advance” apparently have sapped his will to continue with one of the absolute requirements for a Left government , ie exit from the neoliberal straightjacket of the EU and its Single Market. Sad, but by no means unique on the old Labour Left – and even sections of the supposed “Far Left” … like the EU fanatics of the remains of the stillborn Left Unity project for instance. What do people on here think about abolishing Parliamentary Constituencies and allocating MPs directly on the basis of vote share? We could have, say, a 5 per cent threshold of nationwide support and then just party names on the ballot papers. But keep all local elections, regional, devolved etc strictly on an FPTP basis so that would be where the local representation would come in. I don’t think a purely proportional system like that would be suitable for Britain. There is value in having a local representative(s). Personally, I favour merging sets of constituencies so that each one would have, say, 5 MPs who would be elected proportionally based on the local result (using, e.g., STV). That would have the benefit of being more proportional, nationally, and of making it more likely that at least one of your MPs will represent your views in parliament. I agree there’s a huge value of having local representatives. That’s why I’d like to see FPTP kept for all non-national elections. People with a grievance can take it up with their ward councillor – let’s face it, local individual grievances are almost always local authority matters in any case. And our Members of Parliament can focus 100 per cent on national – and international – issues. But the value, in my opinion, of not mixing the two systems – having 100 per cent ‘PR’ in national elections and 100 per cent ‘FPTP’ in all non-national elections – is that they both remain very simple and very easy to understand. It would generate more interest and raise turnout in both I think. Also, it would be great for Labour to have a big eye-catching idea like this (radical, democratic, and also totally cost-free) for the next election. Anyone else think the LibDems are preparing for another ‘ConDem’ Coalition? Hopefully the Corbyn fans will also be eating humble pie too! Why you ask? Well all that whining and moaning they did about the Blairites stabbing the dear leader in the back and all the negative press he got from the Sun, the Mail etc. Well…didn’t work did it? So what were you all moaning about? In fact, in back-fired spectacularly. If there is another election this year you’d want more of the same. Your comment deserves a rebuttal, No one has ever had to suffer the denigration and bile from the media that Jeremy Corbyn experienced, and quite honestly a lesser person would have buckled long ago under the same pressure. The Blairites which you appear to be one of, have every right to hang their heads in shame, because they turned it all personal when in fact it was an ideological battle, between the Neo-Liberal wing of the party and the real socialists. I remember Blair’s first speech after he was first elected at a forum in Reading, where one member asked after hearing his speech, “where was the socialism”? To which Blair retorted, “socialism is dead”. The sycophants that followed Blair lost the Labour Party some 5 million voters, and put this party and the country back 30 years, but within the space of 2 years and the support of people of all ages he has created a party of 600 hundred thousand members making it the largest political party in Europe. I wouldn’t expect you to understand the importance of that as you clearly lack the fundamentals to put it all together, but this is building a movement for the future not just fighting an election; where we swap one set of politicians for another. The despicable label that some one is unelectable failed to gain purchase because the people peddling it were themselves deemed unelectable by the public in previous elections. That in itself tells a story, one which highlights the shortcomings of the Neo-Liberal agenda. Which of course you may or may not understand yourself. To CMac. Deals with firms would be too expensive – wemight as well stay in! I don’t think a free trade deal would be on offerthe UK needs the EU market much more than vice versa, as I pointed out. Yes, the leadership is being vague on the single market, and it’s all gone a bit quiet. But for JC and JM to try and promote a hard left brexit would be hopelessly divisive and would not be supported by mostof their followers. Whether it would be too divisive or not is besides the point I was making. I don’t think the leadership can be said to have endorsed a soft Brexit. Now, you’re probably right to speculate that they will endorse a soft Brexit, but it is only an educated guess at this point. I think that the EU will inevitably want to make Brexit and possible similar attempts seem disadvantageous, and I cannot see a better position being agreed than what I favour, although yes, we don’t have to start there. Well, it seems we now know what Labour’s official position is. They want tariff-free access to the single market but are, at least as an opening position, not willing to commit to membership. Perhaps they would be willing to accept membership, but clearly it is not what they are seeking. Corbyn needs to put forward an alternative Queen’s Speech on Wednesday which includes his anti-austerity programme and his plans for a Proper Socialist Brexit which includes leaving the ESM then negotiating access to it on terms that protect jobs, workers rights, trading standards, the environment, small business, democracy and sovereignty. He has the team ready to go and he should shame embarrassed Tories to vote for it and make him PM and if they don’t demand an immediate general election.